Spread something good on you! 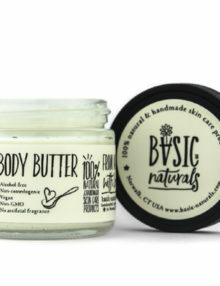 Basic-Naturals Body Butter – Mango is a a smooth all purpose moisturizing body butter, which helps nourish the skin, prevent and repair dry skin; restoring and retaining natural body oils. 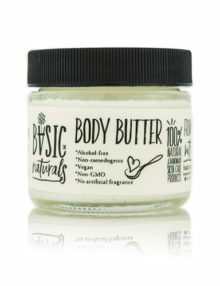 Has skin softening, soothing and moisturizing properties. Helps with dry skin, eczema and dermatitis. Contains antioxidant, antiinflammatory and antiageing properties. Absorbs easily into the skin.